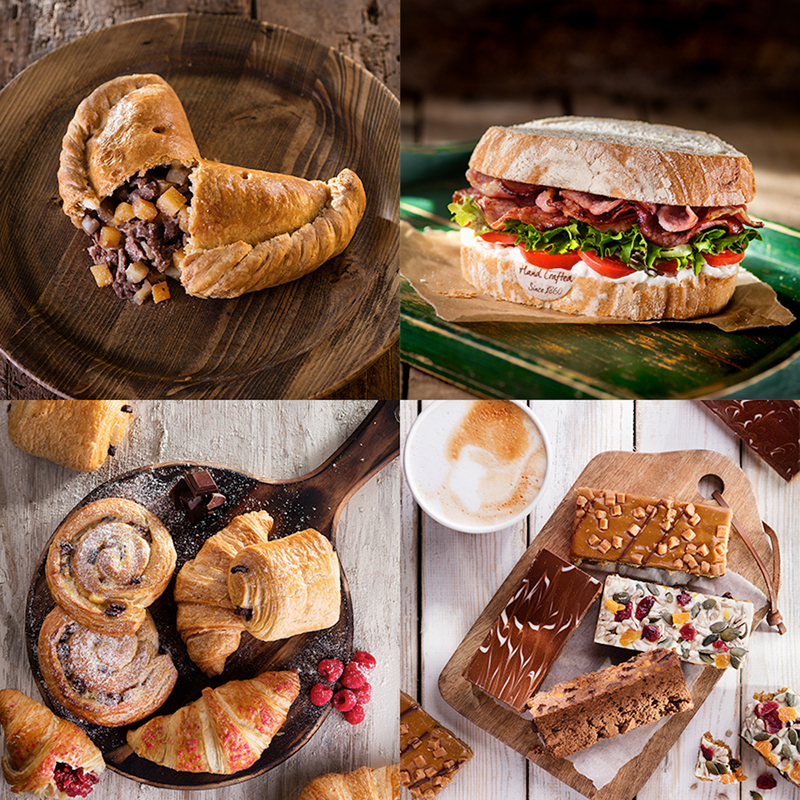 Arriving into our stores from January 2nd, the Good Taste Range focuses on lower calorie options while still boasting great taste at great value, with all bakes under 400 calories and a new Great Tastes Range meal deal for under 500 calories. After months of development at our St. Just bakery, the Good Taste Range includes the brand-new Pie Thin, an innovative reduced calorie take on our signature pasty. Using traditional pastry that has been rolled thinner to reduce the calories, our team of bakers have also omitted the crimp that usually holds the main bulk of the calories. Set to warm up the winter blues, the Balti Spiced Chicken & Spinach Pie Thin (318 calories each) is finished with a rustic crumb and filled with a delicious chicken breast and spinach Balti. Veggies are also catered for, with the Spiced Veg Fusion Pie Thin at just 294 calories. Encased and sprinkled with caraway seeds, then hand- filled with a healthy selection of vegetables and beans in a mild Balti sauce, it makes for a filling and tasty yet guilt-free lunch-on-the-go. A firm favourite and top-selling savoury bake, the humble sausage roll has been given a leaner new year makeover. Launching the protein-packed Gourmet Pork Sausage Roll providing a whopping 32.7g of protein for only 338 calories, and the Gourmet Apple & Cider Pork Sausage Roll with a significant 23g of protein for only 371 calories, these are a must-try! Why not try one of our Pie Thins or Gourmet Sausage Rolls as part of our great value Good Taste Range meal deal, for just £4 enjoy a Pie Thin of your choice, one of our delicious Meringue Bites and a bottle of water!